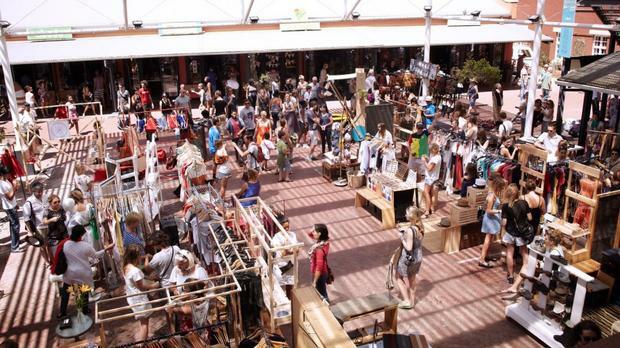 With authentic crafts, artisanal food, beautiful company and quirky music, you can’t help not too love markets, especially these few favourites that we have rounded for you. Meet the creators of the city and have a chat with them about their side hustle, these charismatic entrepreneurs will sell you almost anything and everything at half the price anywhere else in town and give you a good story for free. With authentic crafts, artisanal food, beautiful company and quirky music, we can’t help not too love markets, especially these few favourites I have rounded for you. Meet the creators of the city and have a chat with them about their side hustle, these charismatic entrepreneurs will sell you almost anything and everything at half the price anywhere else in town and give you a good story for free. Meet the youngster, the Mojo Market. Even though it’s a newbie, it is definitely one of the best and has already left quite an impressive mark in the city. Now known for its delicious gourmet cheese sandwiches, scrumptious South African cuisine, affordable fashion and possibly some of the best locally produced ice-cream. What really blew me away was the waffle bowl ice cream, yes you heard right, ice cream in a waffle bowl. To make it even better, this market is open seven days a week from 7am to 9pm. 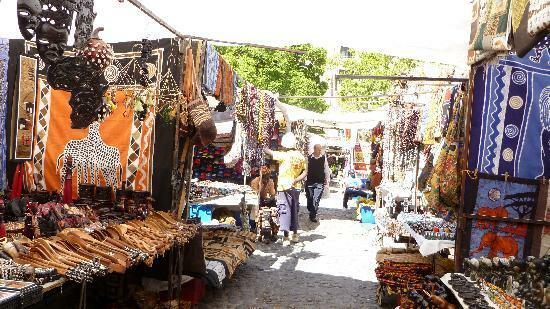 Right by the seaside, this market has put the small town known as Hout Bay on the map! 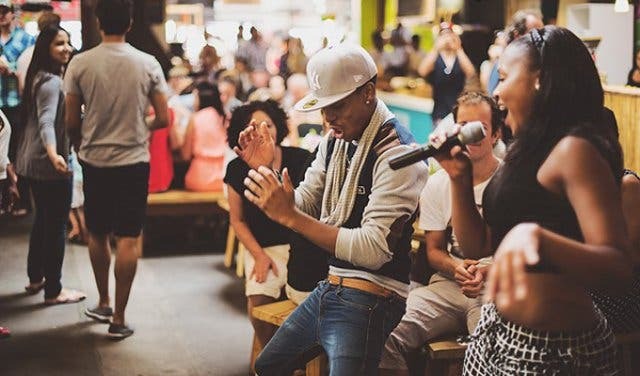 Known for celebrating the creative culture of Cape Town, you can expect nothing less than vibrant energy, bright colours, traditional food (they even cater to vegetarians, vegans and the carnivores). In terms of drinks, imagine a wide variety of fresh raw juice and refreshing craft beer. I recommend the fish and chips and for dessert multiple flavours of brownies! Here you will find everything from vintage novelties, second hand clothes, art, food, jewellery and not to mention the vinyl’s! If you are here for the buzz on the other hand, then well done. The Bay Harbour Market has live music every single weekend, with its groovy tunes they will create the vibe you crave. The Bay Harbour Market runs from 4pm on Fridays in summer, and 5pm in winter and from 9:30am to 4pm on Saturdays and Sundays. This market is by far my favourite! Situated at the Old Biscuit Mill in Woodstock this award-winning market features over 100 speciality traders every Saturday, creating a weekly platform for local farmers, fine-food purveyors, organic merchants, bakers and distributors, grocers, mongers, butchers, artisan producers, celebrated local chefs, and micro enterprises. The best advice someone gave me before making my way to this market was to not eat the night before. Don't starve yourself on my account going on an empty stomach was a win! Now, this one is for the "tourist" traveller. Here you will find an endless path of arts and crafts, hand painted fabrics, wood carvings, glassware, clothing, curious and so much more. Be sure to pop by between 09:00 and 16:00 from Monday to Friday and between 09:00 and 15:00 every Saturday to meet the vibrant locals of the city. Who knows, you might even get a good story to go with your adventure.